Experience the incredible Nozawa Onsen Fire Festival! Staying at next door Togari Onsen. Great ski resort with some of the best pow around. Outdoor hot springs, peak snow conditions, apres ski party, free lessons and more! Togari Onsen Ski Resort is truly a snow paradise - Unlike neighbouring Nozawa, Togari has not yet been overwhelmed by Australian skiiers and snowboarders meaning that even on powder days you can find uncrowded and untouched lines well into the afternoon. The super wide slopes at the base of the mountain make Togari an excellent place for beginners while the intermediate, black and off-piste runs towards the top of the mountain are sure to please the more adventurous! 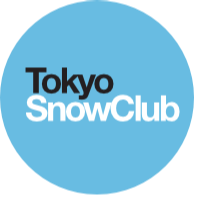 Its going to be a fun fire fest weekend of powder and partying up in Togari and Nozawa - cant wait! !